Now I allowed myself to put the scene of the kiss, in spoiler, I apologize if some boyoo or song song fans can feel offended, because I think it's just a drama, their work, and that the visual and emotional strength of that kiss should be appreciated. Good job, Bo Gum! I love you! Hi, have a good beginning of the week everyone. 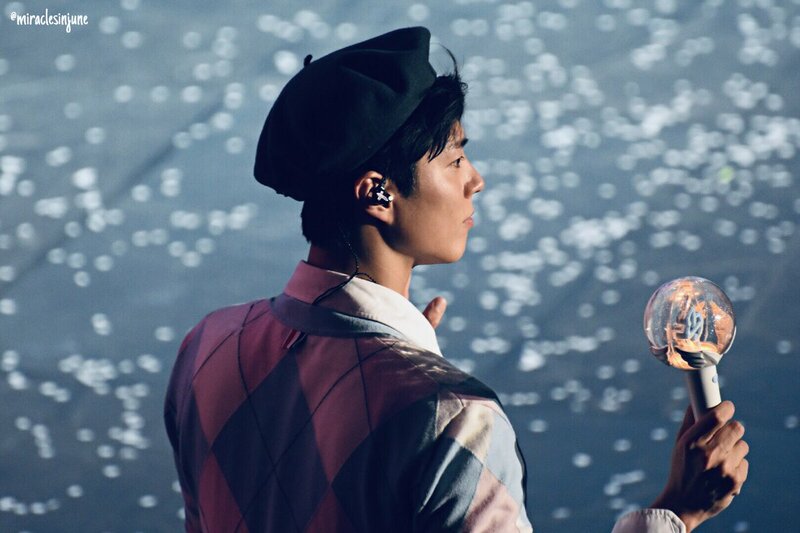 This is the second-last week of Encounter... Bogummy, Fighting! @Xuexi_1 Truly, I don't know what expect wait for us about the end... Myself I am afraid of wolf... Jinhyuk & SooHyun ...please be happy together!!! 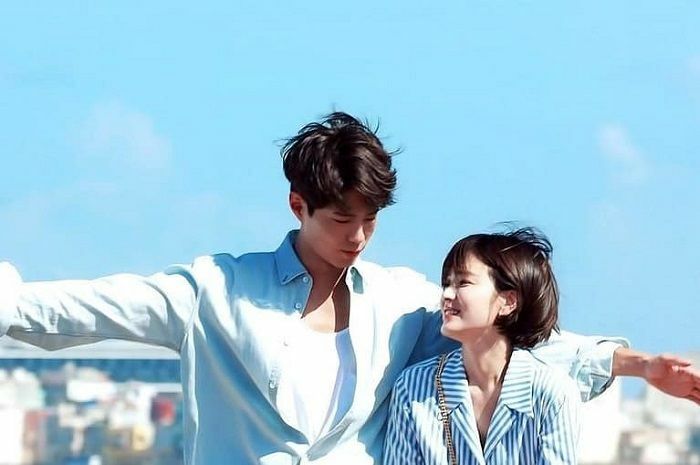 @magrace I do not know if that kiss so passionate can really offend someone, as BoYoo lover I do not feel offended by what is pure and great acting, I want to believe there's any more (BG kisses so well)... But I'm not sure everyone shares that opinion..
About CWPFN... Start again Monday evening... Yoo Jung, Fighting! Look how our Bogummy made all the staff laugh ... His duet with P.O. was exhilarating ..
Just as Boyfriend main leads have portrayed their roles very well, CWPFN main leads have did their roles very well too. Just my own thot, in CWPFN - the male lead's unusual height and big frame somehow make it a challenge for him to quite fit in in a idol drama genre ......? No offence intended whatsoever. I wanted to post a few things about the prince, but eventually I realized that there were too many, so I used the spoilers, I hope I did well. Today was a really beautiful and professional mc. This couple just continues to up the ante on what makes a strong, healthy relationship, and how to love someone purely and beautifully. No matter what threatens them, they never falter, and each attempt to break them apart only makes them stronger. There’s only one thing that could truly endanger their happiness, and when it comes time to face it, we can only hope that they’re able to stand firm in their resolve to stay together no matter what. For the first time, our lovers are faced with an enemy that actually has the power to ruin everything — fear. So far, the challenges they’ve faced have been easily conquered because they weren’t much worried about the consequences. But when one of them comes face-to-face with their worst fear, it may be more than the relationship can withstand. Encounter...... I love much this drama, which today, to my great despair, comes to an end, there will in fact be the last episode and I wish there were many and many others. Unfortunately some are not overwhelmed by this rhythm of heart simplicity because they are attracted by exasperation of conflicts and special effects ... unrealistic: invested by the wave of simplicity - and irrationally and anachronistically disturbed by an unconventional love- they do not let themself gently to cradle by that wave.... to know it, but they move away from it, they escape and disguise their non-elasticity and lack of ability to dwell on what happens shouting to boredom: they thus lose the revealing light of the essence of life: learning .. . to learn to reflect and to learn from a simple gesture, from a smile: they do not open themselves to learning and close themselves in the excess that does not bore them but limits them in going beyond the usual, beyond superficiality: they are, paraphrasing Camus, a visitor to "cities that have never bored me", and they are visitors to "cities that have taught them nothing". They show that they are engulfed by the wolf, portrayed in Encounter's illustrations, of the superficiality. In Encounter that wolf is hungry and weakened ... relegated outside the garden of the rediscovery of the beauty of the velvety petals of a simple everyday life but rich in treasures to be identified and preserved. Congratulations to Bo Gum for his great acting in this drama, he managed to make me feel his own emotions, it was very strong and in the same time wonderful for me. 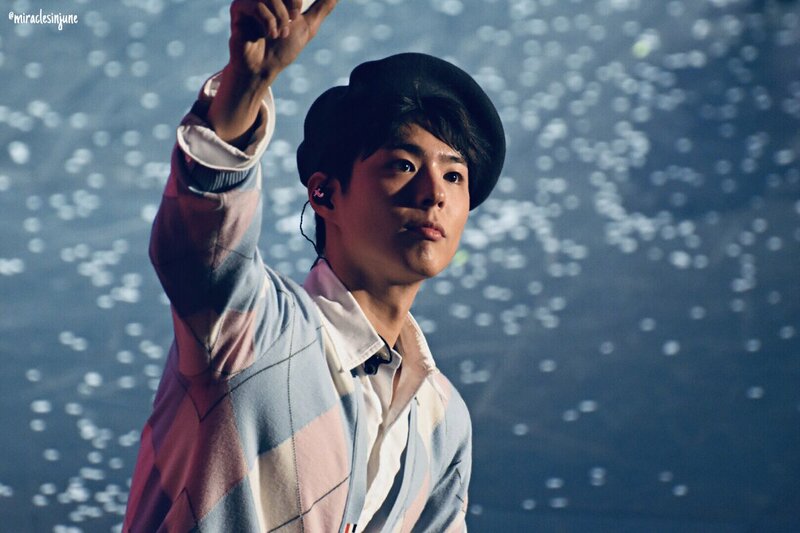 Thank you Bogummy. Also, me too I hope that the jinsoo couple can find happiness at the end. In most melo and romance dramas, It's usually that great hardship and huge obstacles that precede the good ending, so in Boyfriend, the last episode will see both JH and SH coming together again ....... it's sad in the separating scene, and both the protagonists have portrayed their roles very well and professionally. Anybody realize that KYJ hardly uploads photos of her current drama with the male lead on her instagram as compared to moonlight drama days with PBG? Also can see the BTS scenes of moonlight versus encounter, the moonlight couple was much more relaxed and had fun and lotsa skin ship! "Love loves to love love"
"The actor #ParkBoGum of the drama '#Boyfriend' is posing for an interview at a cafe in Sinsa-dong, Seoul on the 28th." #ParkBoGum: "In the future, I want to show a different aspect through genres such as thrillers, medical dramas and musicals." 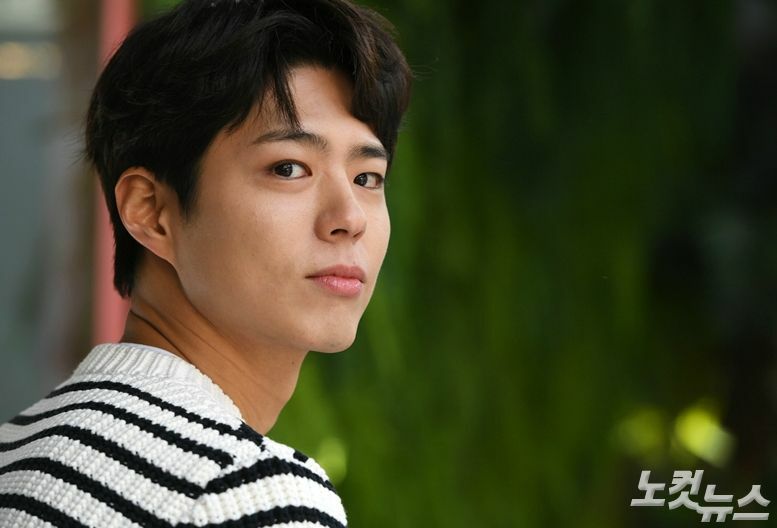 #ParkBoGum said he was embarrassed by the nickname "Kissing Craftsman". I thought it (kissing scene) was possible because the camera and lighting director captured it beautifully." He humbly said "I am grateful that it looked good. " His most favorite nickname is '#Bogum Magic' given by Defconn in '1 Night 2 Days'. "I want to be a magical person who can move people's minds and hearts in a good way, with a good influence." "Park Bo Gum And Song Hye Kyo Top Rankings For Buzzworthy Actors"
and "The drama "Boyfriend" ranked 1ST in the latest Content Power Index Ranking"
Who will be waiting for? Does anyone know what it means? Finally an original Bogummy's song? His debut!!!! !